It's no secret that diet and exercise are the fountain of youth, but it can get a bit tricky knowing how to turn it on once we're over 40. The goal of this two part series is to share with you 10 lessons I have learned to help you turn on your fountain and control the flow. These are lessons I have lived personally as a master athlete and learned as a coach. The first and most important lesson came from my client Leo. I'll let him tell you in his own words from a 2006 Boston Globe article. At the age of 52, then Boston Celtic VP Leo Papile, noticed that the years of neglecting his body had begun to catch up to him. “I noticed at my house and at the practice facility that I was really pulling on the banister to get up the stairs,” Leo said. “That’s when I bottomed out, and that’s when I went to Hank…Part of what Hank does when he takes you on is to map out your life story, and when he asked what my greatest fear was, I told him in big block letters – ANOTHER INJURY,” he said. “As things started to progress with Hank, I started to wonder where I could go with it.” (1) Now more than 10 years later Leo Papile is able to run up the steps that once hobbled him. He exercise daily and travels internationally pain free in a way he has not done in 20 years. He has even been known to step into the boxing ring and spar a few rounds with fighters 30 years his junior! Leo represents the true challenge of training the aging body. 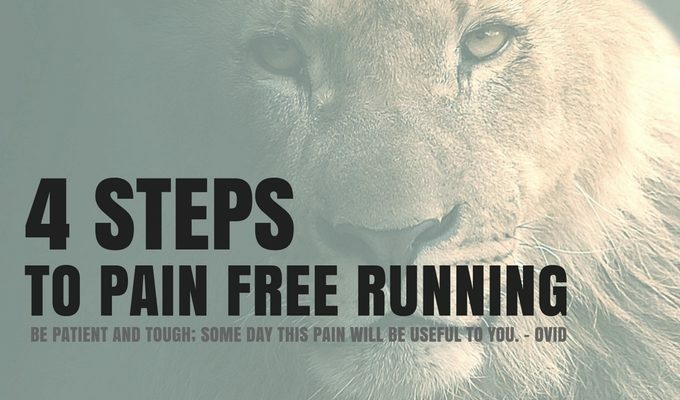 With over 10 orthopedic injuries to his shoulders, knees, elbows, hips, and back, along with other health concerns, I knew the drill sergeant approach of “No Pain – No Gain” taken by many trainers would just not work. I began a new mantra at the start of each session, "Don't hurt the client." My number one goal when working with Leo was to make sure that he would not be injured during a training sessions or suffer ill effects after. Many times I had to hold him back from his own desire to work hard and push to improve. Despite "holding him back" Leo still made tremandouse gains and taught me the is is possible to "Make Gains - Without Pain". The simple truth is the risk of pushing far out weigh any potential gains. Pain and injuries will derail your motivation and ability to perform for weeks and months. Listen to that little voice that says, "Back off a little bit. No need to run through this brick wall." If you are working with a professional trainer or coach make sure they understand and respect this desire. If you are working out in a group setting enjoy the motivation and comrade, but be careful not to let them push you to far. How do you define a good workout or training session? Most people attribute "good" to a workout that leaves them exhausted and in a pool of sweat. Hey, I'm all for it. I believe, “You have to Challenge to Change”. However, that head full of steam approach in my experiences always leads to injury. So how can you make your workouts worthwhile without risking injury? Redefine what a good workout means to you. Instead of being exhausted in a pool of sweat, how about at the end of a without you feel better, mentally, physically, and emotionally. This mindshift is why I named my training studio A Better Day Performance Studio. People know that when they leave they are going to have a better day mentally, physically, and emotionally. They also know that even if they haven't exercised to exhaustion that they have moved a few steps closer to their goals. If you are stuck in a "No Pain No Gain" mindset take a minute to reevaluate it. Taking a minute to recognize and appreciate all the other immediate benefits of the work you have done. Doing so is a great way to help keep you motivated and appreciating moving pain free. 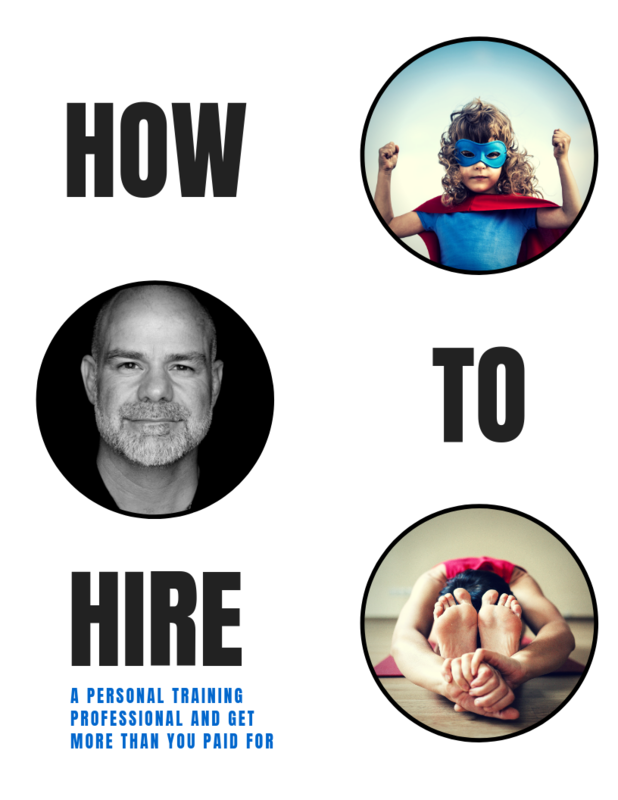 There are two big reasons why you want your training sessions to have real world carryover. The first is that it keeps you motivated. Seeing improvements in your golf swing or ability to keep up with the kids makes it easier to get through tough workouts. The second key reason to train for real world carryover is you are a human being who lives in a 3 dimensional world with gravity pulling on you. And it will continue to do so for the rest of your life. If want to be shuffling your feet looking at the ground and hoping you do not fall and break your hip, stay on all the "safe" machines and teach your body how to move with a walker. However, if you want to enjoy the freedom of being pain free, balanced, with stabled movement for the next 30-50 years then get into a Ti-Chi or yoga class, find a 1-1 or group trainer that challenges you to learn how to move and control your body with skill and precision. If you are reading this I know you are a self-motivated and directed person. I know you have had personal standards and exceptions for yourself your whole life in the areas of your schooling, career, and family. Why not your physical health? I'm not talking about the "good for your age" blood pressure and weight goals, they give you at the doctors office. I'm talking about physically active goals, 100 air squats, 3 minute plank hold, able to meet the Army Physical Fitness Standards for my age. You have standards for every area of your life, why not for your physical ability and workload? Without personal standards it is easy to look to your left and right and see your peers slowly letting themselves go and say, "I'm doing pretty good." Trust me, you are capable of doing so much more. Set a standard, hold yourself accountable, and enjoy the lifetime of benefits. The easiest thing to do as a trainer is find what someone is not good at, and "challenge" them. Or know how much then can do and then double it. Watch them struggle and fail, then applaud the effort as being good for them. It's easy to do, but has no place in a real training program. That's why I don't do it and advice you to steer clear of it as well. You do a workout that crushes you. You fail to complete all the "required" sets and reps. You feel beat-up mentally and physically. You do a workout that pushes you. You find a few limits along the way that propel you toward our goals. You feel "tired", but in a good sort of way. Your mind feels destressed and energized. Your body moves easier and pain free. Of the two scenarios which one would you rather repeat 3-5 days a week for the rest of your life? I think it obvious. And I believe it is imperative that you finish the majority of your workouts feeling empowered. The kids are calling. Time to use some of that Real World carryover to chase the kids around with. I have Lessons #6-10 coming up in part-2. Until then enjoy reading about some inspiring people who have lived these lessons and more! 83 year old yogi Bette Calman maintains range of motion and strength envied by people half her age. Mr. Juice Master Jack LaLanne lived an incredible active life until his passing at 97 years young.